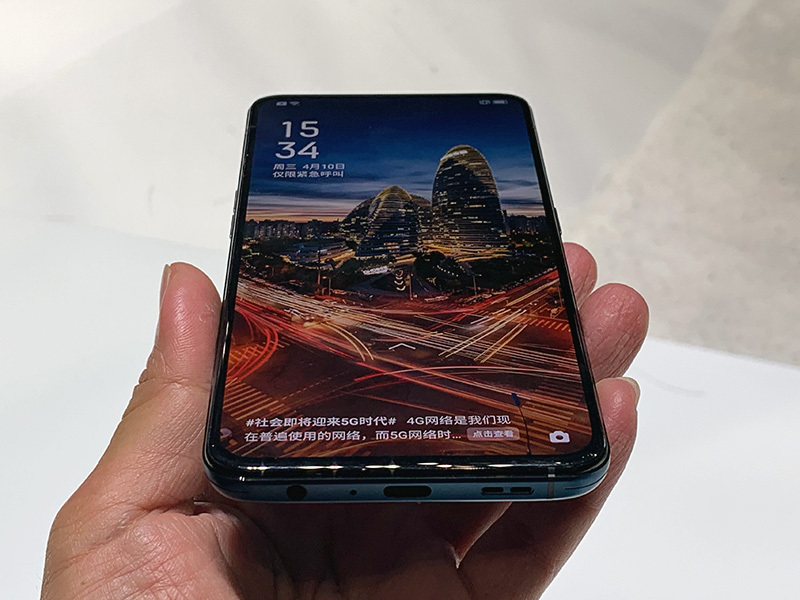 There are notch-less phones; and there are Oppo notch-less phones. At a launch event in Shanghai, China today (Apr 10), Oppo has officially unveiled its new Reno series. There are a few models in the series, but let’s talk about the Reno Standard Edition first, which is powered by the Qualcomm Snapdragon 710 processor, comes with up to 8GB RAM and 256GB storage, and packs a 3,765mAh battery. For a start, this standard Reno has a beautiful 6.4-inch, Gorilla Glass 6-protected AMOLED screen, and it's a truly all-screen panel unblemished by any notch or punch-hole cutout. And this is done by moving the front-facing camera elsewhere. Those following Oppo will know that this isn’t the first time the company has deleted the notch on its phones in this manner. The Find X’s slide-up panel is probably its most famous attempt, though the most recent example is the little pop-up camera on the F11 Pro. 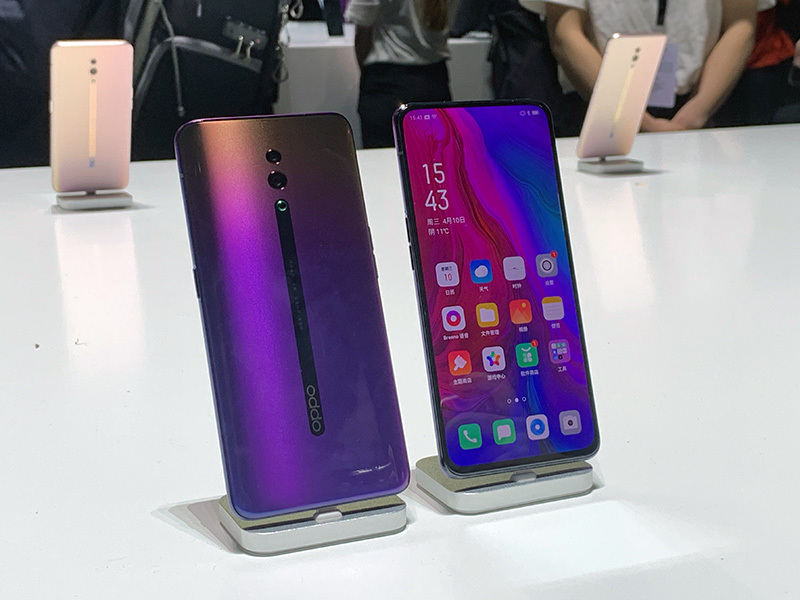 On the Reno, Oppo has once again opted for a pop-up camera - but this time, the 16-megapixel module is housed in a wedge that automatically raises from the top-right of the phone when you turn on selfie mode. Imagine a shark’s dorsal fin suddenly breaking the water surface and you get the idea. 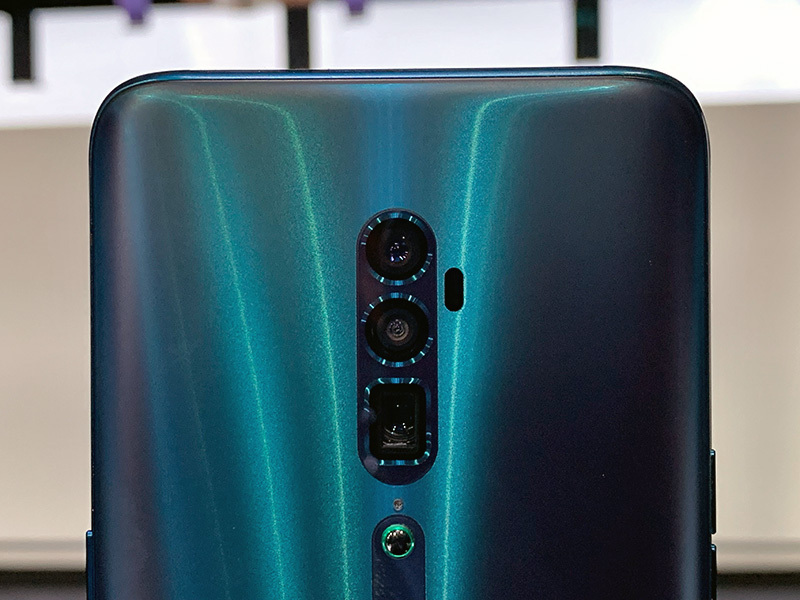 On the back, like the F11 Pro, you get a dual-rear camera setup that uses a 48MP Sony sensor for the primary camera and a 5MP sensor for the secondary camera, and which supports both contrast- and phase-detection autofocus. 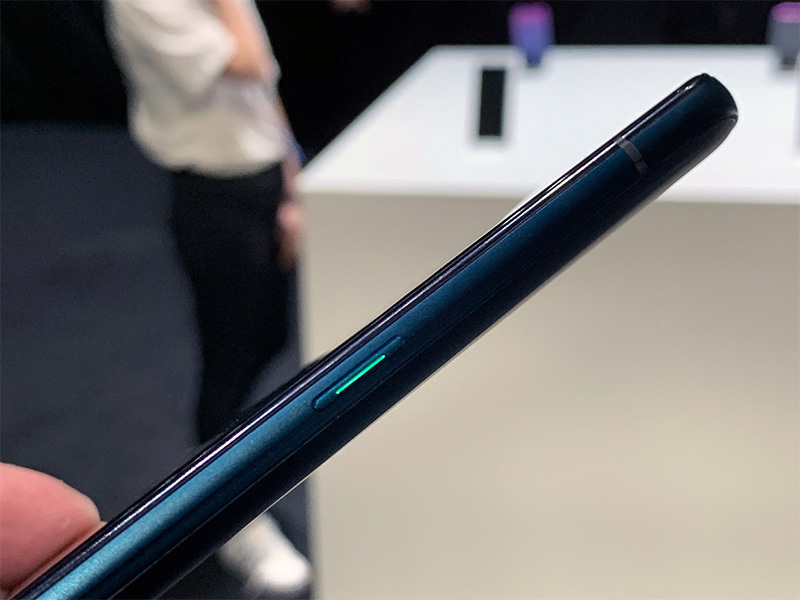 Oppo says there are several AI subsystems in the phone, and two of them - the AI Engine and Ultra-Clear Engine - work in tandem to enable the camera’s Ultra Night Mode 2.0. I won’t bore you with the nitty-gritty, but basically, AI is used for scene and subject detection, while Ultra Night mode puts a series of low-light shots through some multi-frame noise reduction and HDR processing magic to create the final “balanced” and “low noise” photo. 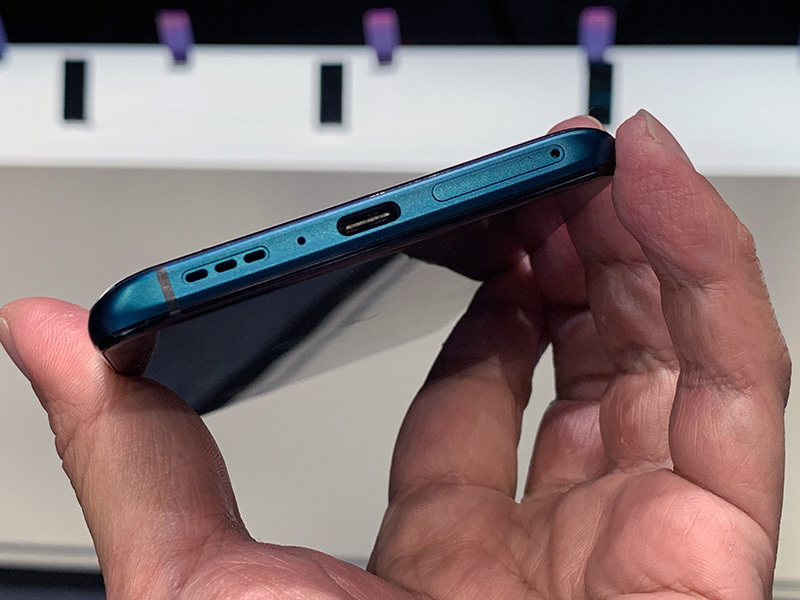 Rounding up, the standard Reno has built-in NFC, can do VOOC 3.0 fast charging over USB-C, supports Hi-Res Audio and Dolby Atmos (the latter after a firmware update), and runs Oppo’s own ColorOS 6.0, which is based on Android 9.0. The notch-less display has a few more tricks up its sleeve too, including support for DCI-P3 colors and HDR10 content, and the inclusion of an under-screen fingerprint sensor. For mobile gamers, Oppo says it has improved the screen's touch responsiveness and refresh rate stablility. And then there's the Reno 10x Zoom, which is the Reno Standard Edition and then some. 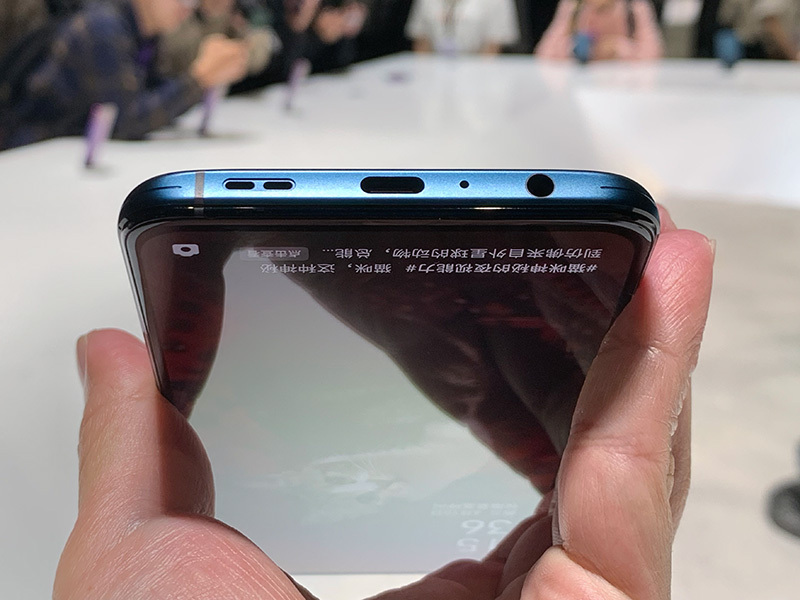 Like the standard Reno, this flagship Reno has an expansive edge-to-edge screen unspoiled by any notch thanks to the slanted pop-up selfie camera, though it comes in slightly bigger at 6.6 inches diagonally. Despite the larger panel, it maintains the same 93.1% screen-to-body ratio as the 6.4-inch Reno. 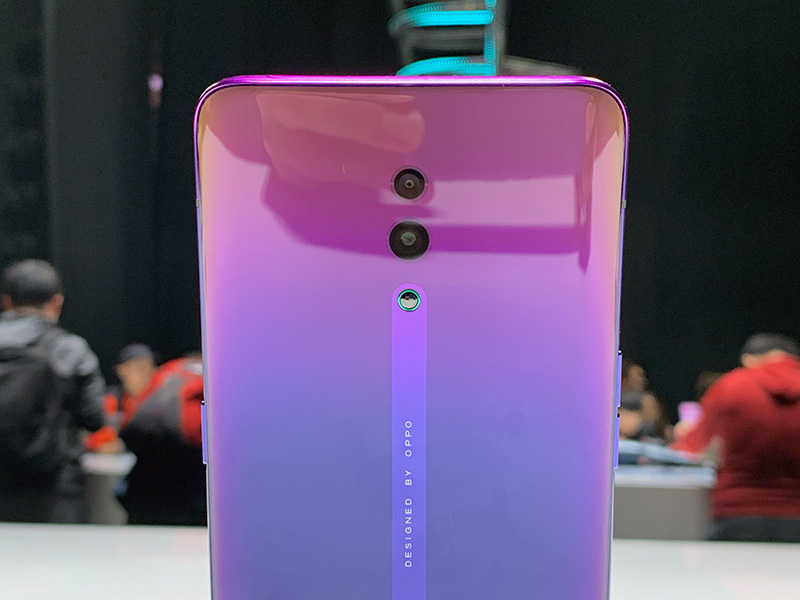 The biggest difference between the two Reno phones is actually found on the back: instead of two cameras, the flagship Reno’s rear camera system is powered by a three-lens setup. More specifically, we’re looking at a 48MP primary camera (1/2.0-inch Sony IMX586 sensor, f/1.7 aperture) paired with two other camera modules: one with an 8MP sensor and a 120-degree super-wide-angle lens and another with a 13MP sensor paired with a telephoto lens. 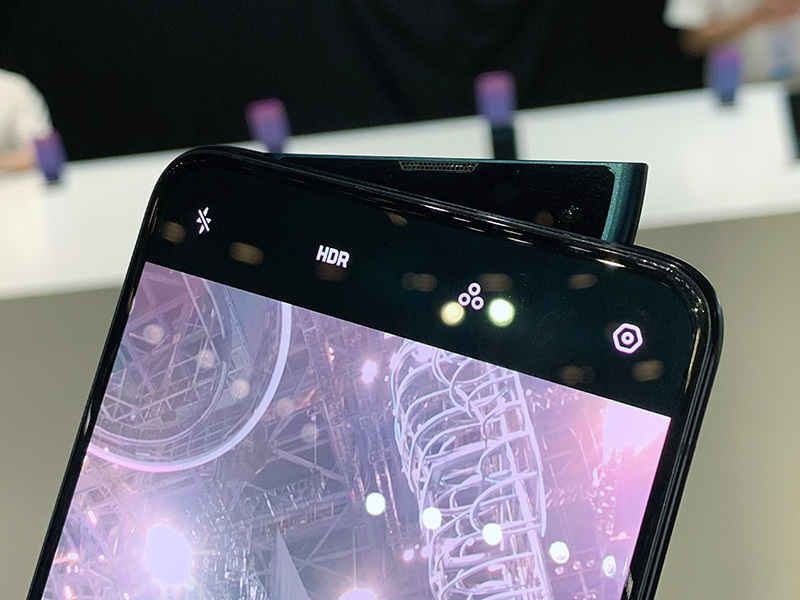 Using a periscope structure not too dissimilar to what we’ve seen on the Huawei P30 Pro, they all come together to enable the phone’s 10x hybrid optical zoom headline feature, which covers an impressive focal length range of 16 - 160mm (in 35mm terms). Those into photography will also know that image blur because of camera shake is a common problem when shooting with a telephoto lens. To combat this, the Reno 10x Zoom’s 48MP wide-angle shooter and telephoto lens are both equipped with optical image stabilization. Oppo has also thrown in laser AF to help the camera acquire focus faster. Impressively, despite the numerous components, the Reno 10x Zoom has nary a camera bump. This is thanks to the space-saving periscope design, as well as the use of a closed loop AF motor and D-cut lenses. Now, a bump-less rear camera is all well and good until you’ve to lie the phone down flat on the table. To prevent the lenses from getting scratched, the phone has this little ceramic nub just below the camera array to lift the back of the phone ever slightly off the surface. Apart from the 10x zoom camera, there are a couple of notable differences between the standard and flagship Reno phones. For one, the standard Reno uses a combination of thermal gel and graphite sheet to dissipate heat, while the top-end Reno features copper tube liquid cooling. Also, the higher-end phone is equipped with dual-frequency GPS (L1 + L5) for a faster and more accurate GPS fix, which should come in especially handy for urban jungles like Singapore. My personal favorite outside of the all-screen front and zoom camera? That’d actually be the software-based DC dimming solution that Oppo has devised for the screens on the Reno phones. In a nutshell, turning this on reduces the pulsing/flickering effect you may see on the AMOLED screen when you turn down its brightness. I'm particularly sensitive to such flickering introduced by PWM dimming (Pulse Width Modulation) on OLEDs, and it annoys me to no end because it makes my eyes very tired when I'm using the phone in the dark - so I'm really happy to see it being addressed here. Finally, the Reno Standard Edition will go on sale in China on Apr 19, with a starting price of 2,999 Yuan (6GB RAM/128GB storage). The Reno 10x Zoom will hit retail in China slightly later in May, and this has a starting price of 3,999 Yuan (6GB RAM/128GB storage). 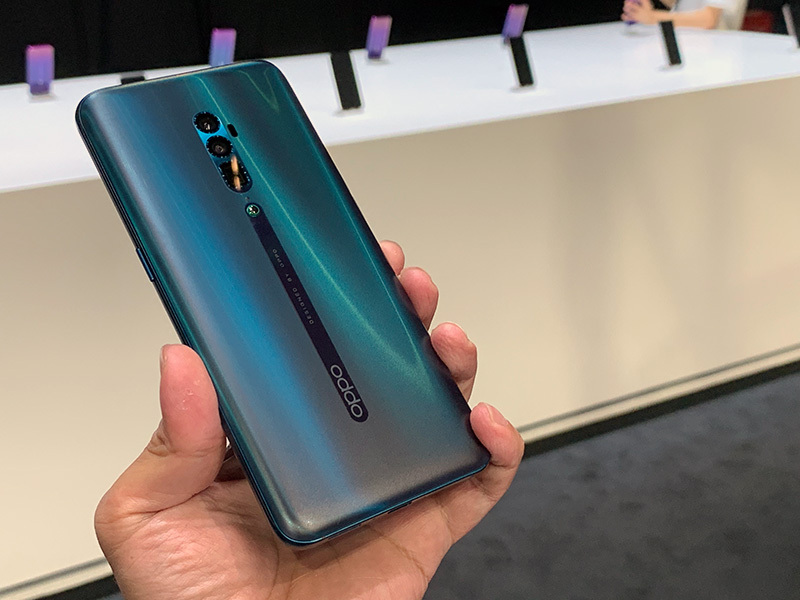 Both phones are expected to come to Singapore in the coming months, but exact local availability and pricing details have yet to be announced by Oppo Singapore.